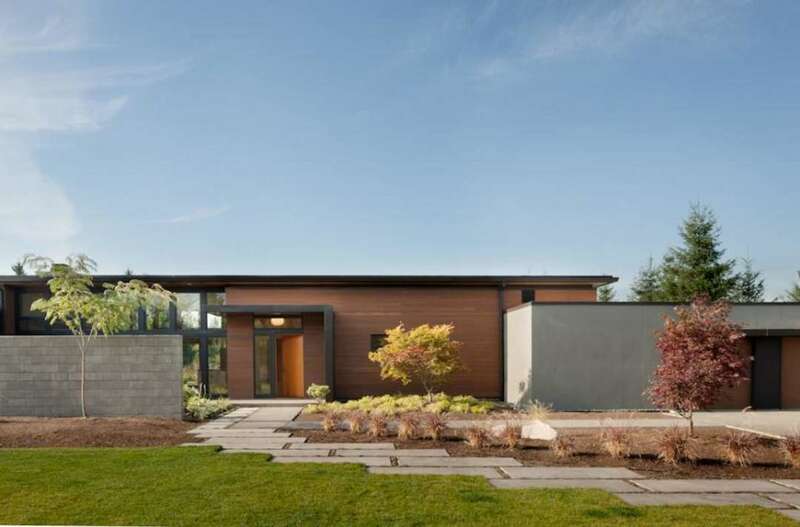 The Best of the Pacific Northwest: 8 Residential Projects Much to our excitement, a recent Architizer blog mentioned our Island Passive House, as a premier Pacific Northwest Design/Build firm, we are honored to be included with these 8 residential projects! 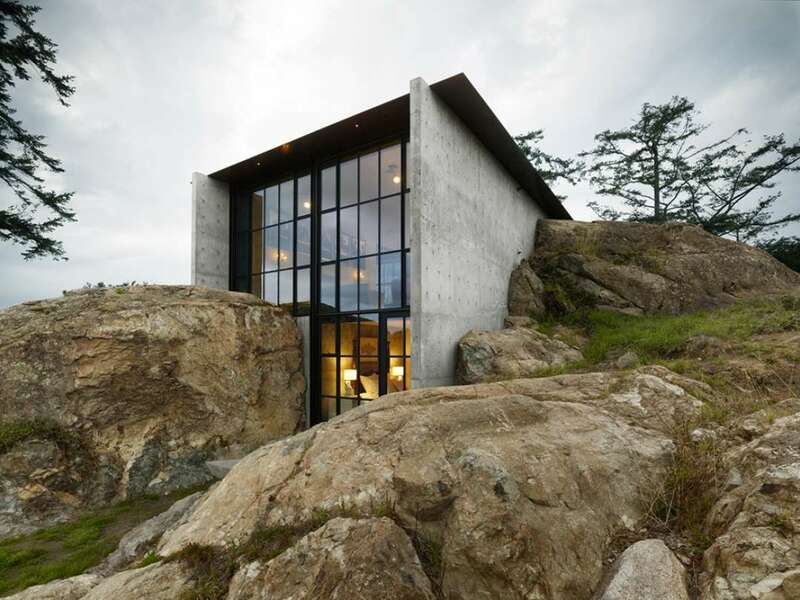 http://architizer.com/blog/best-of-the-pacific-northwest/ By Eric Baldwin Few places in North America are experiencing rapid growth and a dynamic emerging design culture like the Pacific Northwest. With cities like Portland, Seattle, and Vancouver, this region is a hotbed for sustainable, low-impact, pedestrian-friendly designs. These projects emerge from a common appreciation of craft and materials as well as a deep understanding of natural systems. While the architecture can found in a variety of different landscape conditions including islands, fields, and mountains, the designs each engage their sites and the challenges and opportunities that they present. As such, the buildings initiate and articulate newfound dialogs between place, space, and people. 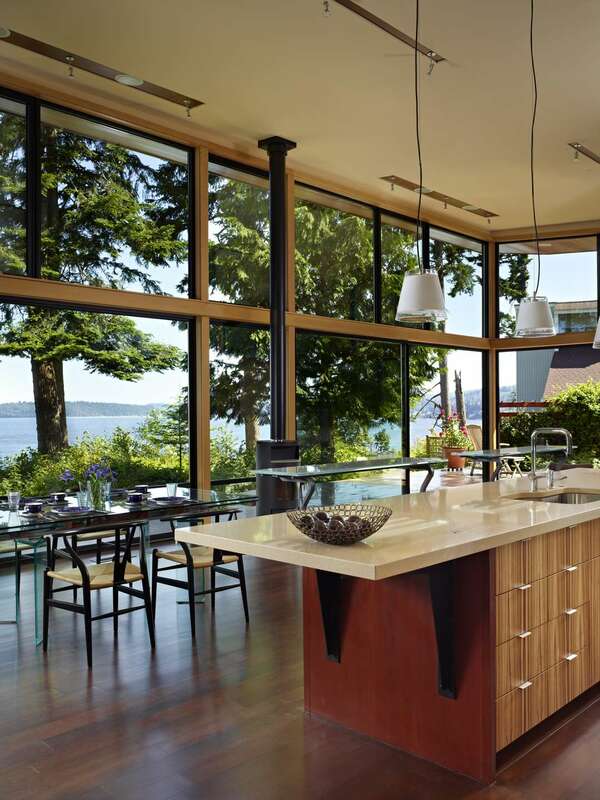 The following collection showcases 8 residential projects by a variety of different firms in the Pacific Northwest. Whether designed as passive structures, powerful datums, or playful abodes, each project shows an approach to northwest architecture and design that’s simultaneously critical and creatively reinterpreted. Hierarchy is established throughout the projects and between the layers of view, access, and scale. While the projects share a similar program, they each differ in material and spatial organization as well as their individual approach to the natural systems on site. 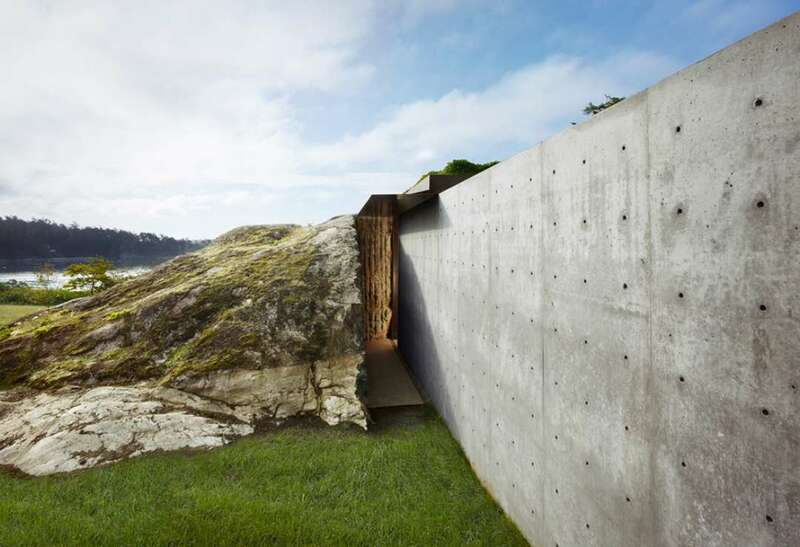 The Pierre by Olson Kundig Architects, San Juan Island, Wash. Olson Kundig’s Pierre house was designed as an unexpected retreat securely nestled into a rock. Depending on the angle, the house can seemingly disappear into nature. The rock itself also extends into the house and was used as a concrete aggregate where it was excavated. 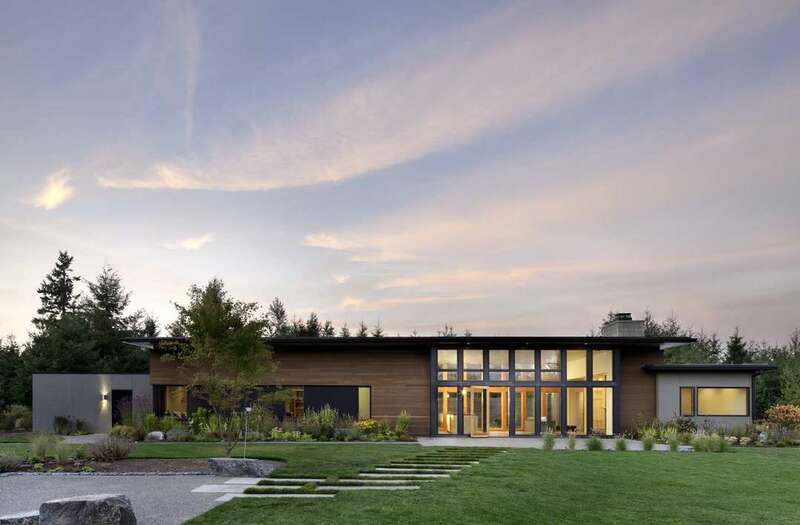 San Juan Island Passive by Artisans Group, Shaw Island, Wash. From its pinwheel design to its floor-to-ceiling glass, the San Juan Island Passive house embodies a sustainable, sleek, and energy-efficient architecture. Pre-manufactured walls and a mechanical core combine to create a solid, innovative building. A refuge that’s simultaneously flowing and adaptable, the house was carefully designed to allow long sight-lines and celebrate its unique island site. 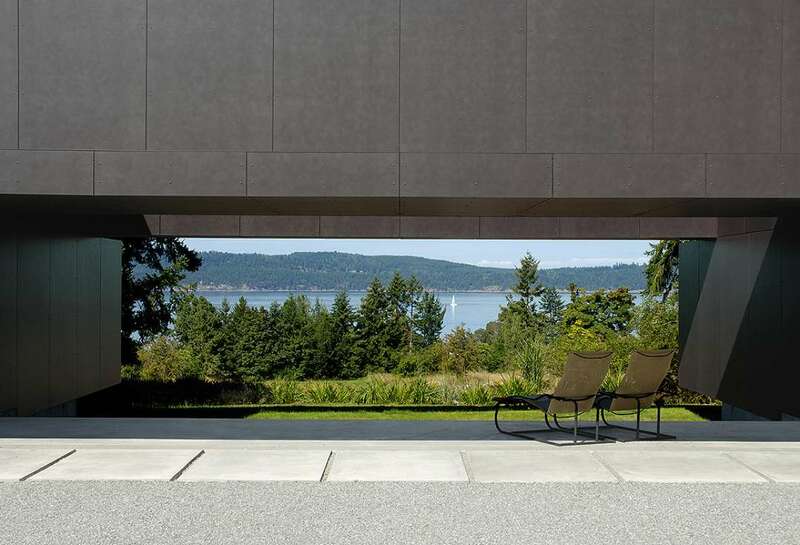 Port Ludlow Residence by FINNE Architects, Hood Canal, Wash. This house on the Hood Canal was created as a simple glazed living space that becomes a front porch to the surrounding wooded waterfront. The main living volume is completely glazed, while the other exterior materials are maintenance-free. Large overhangs, natural lighting and ventilation, as well as two-by-eight wall construction make up some of the sustainable building features in the design. 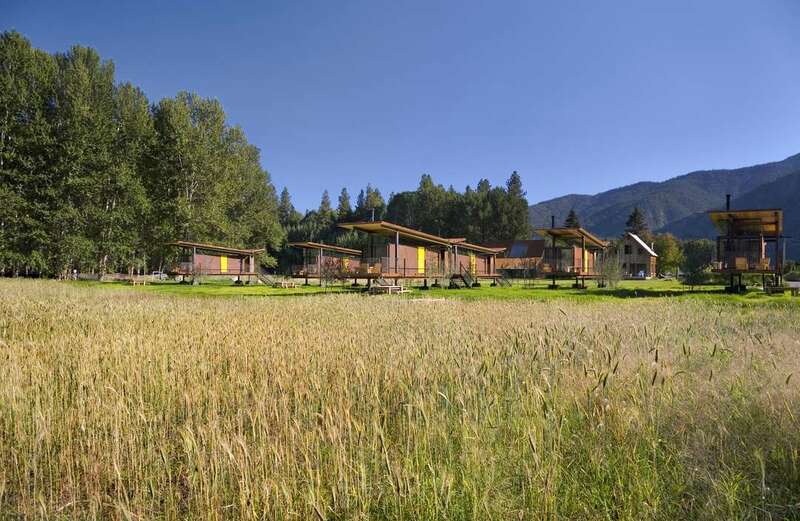 Rolling Huts by Olson Kundig Architects, Okanogan County, Wash. Rolling Huts was created as a response to the client’s need to host visiting guests. 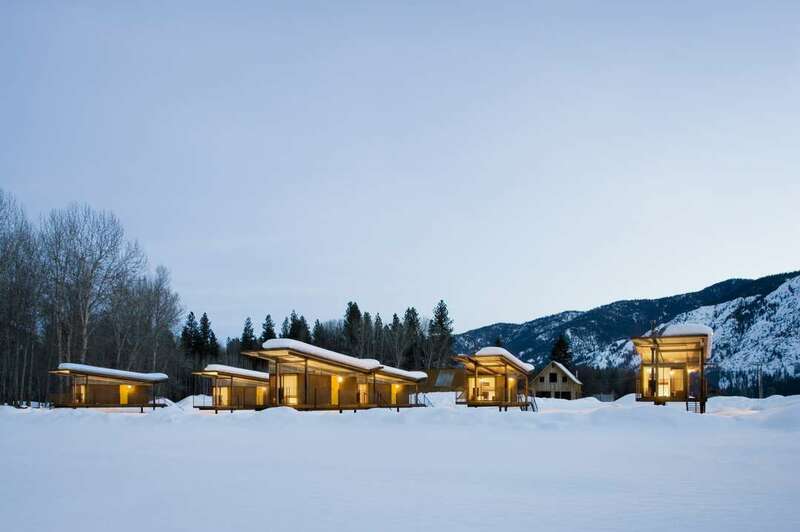 Deferring to its natural surroundings, each hut is lifted above the meadow on wheels. The low-tech, low-impact designs enjoy views of the mountains while being united by their proximity to one another. 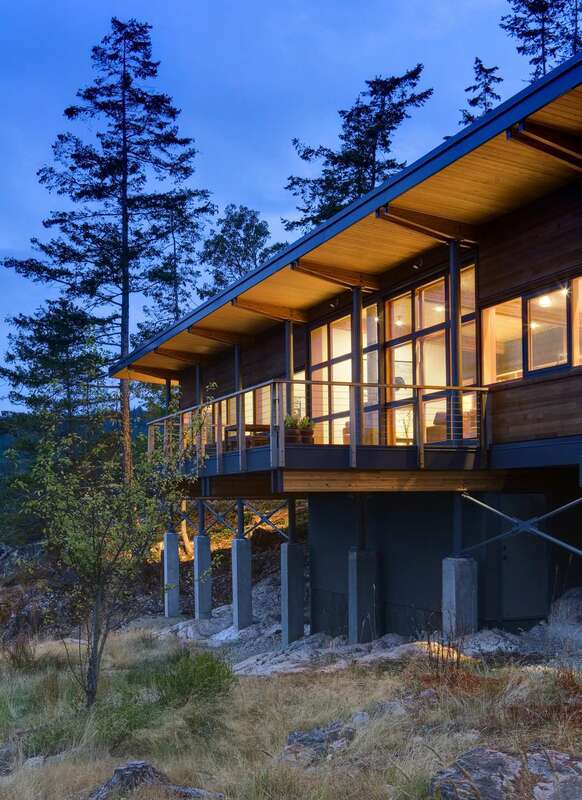 Linear House by Patkau Architects, Salt Spring Island, Canada One of the primary site features of the Linear House is that it is bisected from east to west by a long row of mature Douglas fir trees. Other sides of the house include a hay field and orchard. The house helps to reinforce the cultural landscape to the south and the natural landscape to the north as well as being able to transform into an open-air pavilion. 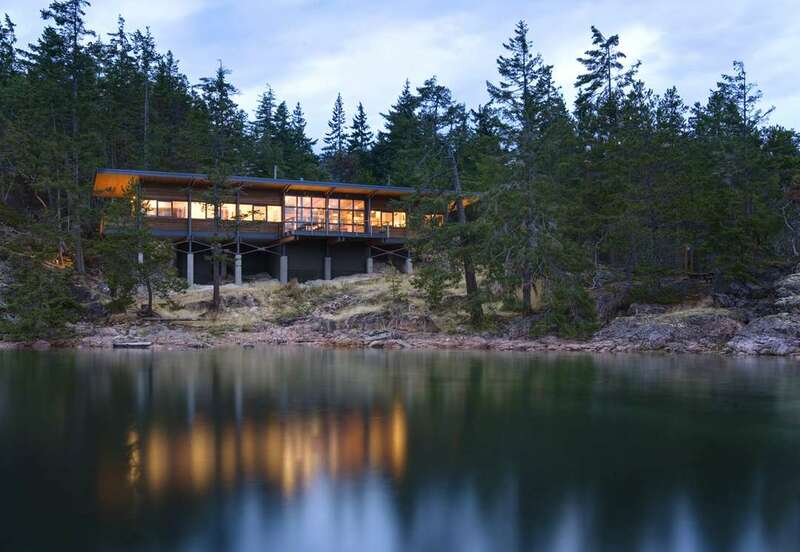 Cortes by Balance Associates, Cortes Island, Canada Located on a site formed of natural granite bedrock, the Cortes was designed as an elevated living space overlooking the sea. Steel columns, exposed wood floor beams, and cantilevered decks combine in the raised space, while concrete visually anchors the house to the bedrock. 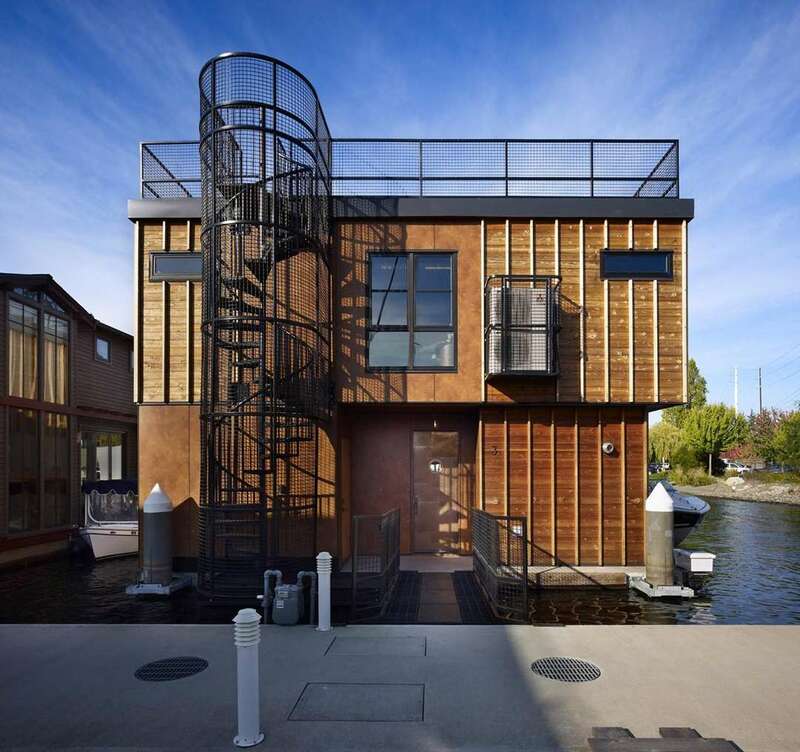 Lake Union Float Home by Designs Northwest Architects, Seattle This house is located on Lake Union in Seattle. The structure was created for a retired couple that collects art and enjoys being on the water. 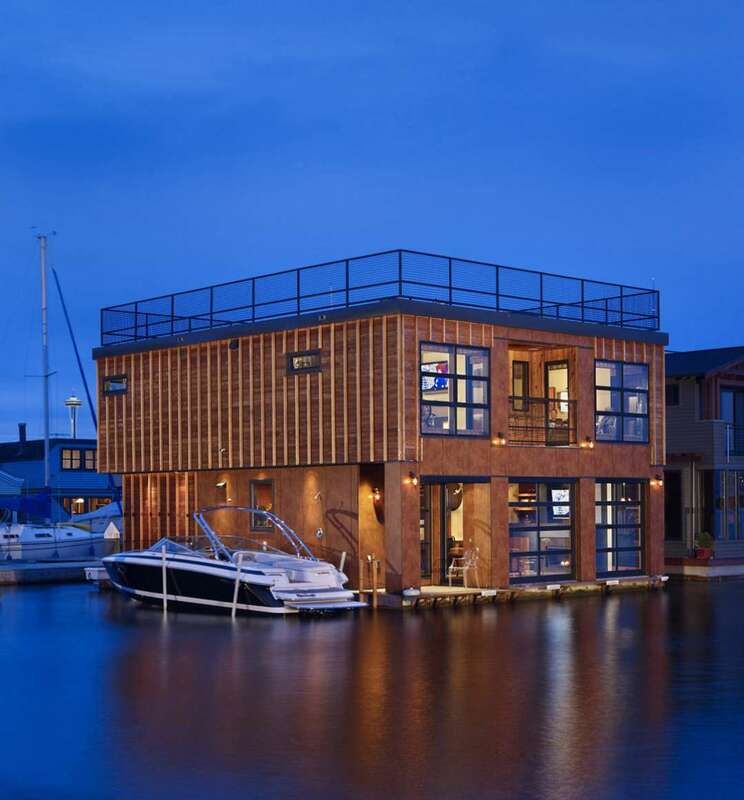 The floating house was designed to fit into the wharf buildings along the waterfront. 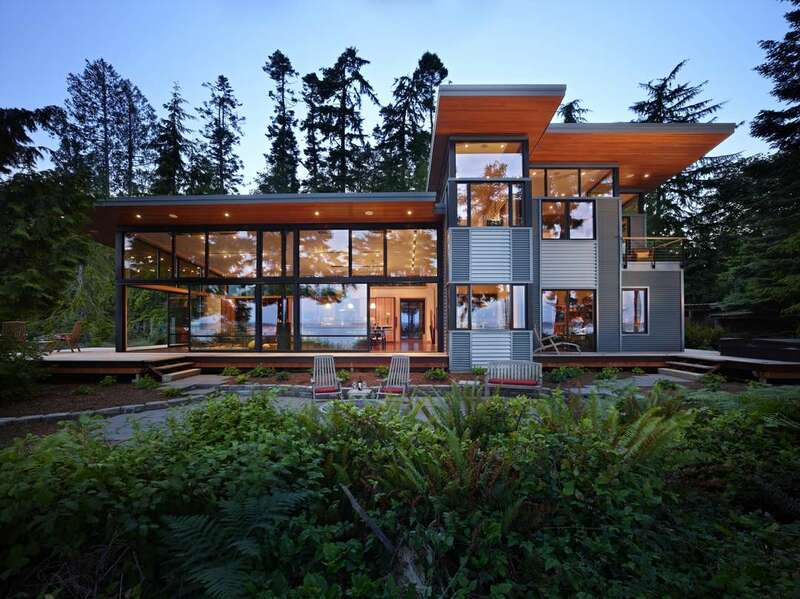 Olympia by Coates Design Architects, Yelm, Wash. Olympia house is an L-shaped structure on a 10-acre parcel of land. Following the main concept of simplicity, the design addresses both aesthetic and budgetary concerns. Sleek, cost-effective materials combined with modest clean lines and minimal color to complete this “livable modern” house.